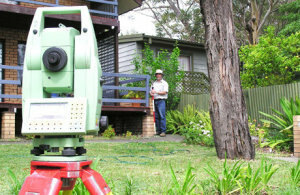 Leslie & Thompson are proud to provide expert land surveying and mapping services for homeowners or prospective property buyers in the Shoalhaven and further afield. Identification surveys examine a plot of land and determine where the property lines and other markers lie, better equipping buyers with information about their land’s potential. Existing homeowners looking to make additions to their home or other property structures will require a professional site survey for the architect to use when drafting his designs. At Leslie & Thompson, we are committed to providing individualised, personal service that gets the project done. With timely and reliable work, we’ll organise your residential surveying quickly and complete our measurements and analysis with very little interruption to your day. When buying or selling land, it is prudent to obtain an identification survey to ensure that there are no encroachments by or upon the land and that buildings comply with council setbacks. In the case of vacant land, a survey will mark the corners and identify the land you are buying. If you are designing a new house or modifying your existing house, your architect will need a site survey so he can match the design to your land. The site survey will show boundaries, levels and contours plus existing trees and structures on your lot and adjoining lots. With our laser theodolite, we are able to measure adjoining buildings remotely without entering your neighbours’ land. The site plan can be produced in electronic format for CAD design or as a paper plot. Using the most advanced, state of the art equipment available, our Leslie & Thompson surveyors can perform a comprehensive site survey on any property. This survey will not only measure land borders and other markers, but will document the structures and trees on your lot and adjoining lots. This type of survey is needed when you are remodeling or adding to a home, and may be useful in other circumstances as well.